In the early years of his career, Dinesh sold Calculators in Chawri Bazaar; quality checked garments in a Faridabad factory and cleared tables as a Busboy in an Upper Eastside Bar in New York. He believes that these jobs were as good an education, if not better in some ways, than the Economics degree he got from Delhi University. This rather chequered career path was due to his teenage belief that if he followed in his Photographer Father's footsteps he would be yet another victim of the Indian caste system. This rebellion further led him to a 12 year long career as a Client Servicing Executive in Advertising where he finally achieved 'burn-out' at the ripe old age of 33 years and which left him with a burning desire to become a Professional Photographer. So in 1990 he finally succumbed to what can probably be blamed on genetic coding - the desire to make images - both as a means of making a living and as a form of creative expression. The last 26 years have seen him involved in creating images for Advertising, Editorial and Corporate clients, specifically in the area of Food, Still-life, People and Interiors. 1. “In my own World” shown at IIC, Delhi; NCPA, Mumbai; Oxford Gallery, Kolkata; Varanasi and Bangalore. 2. “Living Faith” exhibited at India Habitat Centre, Delhi and Oxford Gallery, Kolkata in India. Also at Sundaram Tagore Gallery in New York and by the Asia Society in San Francisco, USA. 3. “In my own World 2” shown at India Habitat Centre, Delhi. 4. “Colours – an Indian Language” shown at the World Economic Forum, Davos, Switzerland. 1. “Divine Facades” – Architectural Photography from India at Impressions Gallery, York and Pitshanger Manor Museum, London. Also toured England and Canada for 2 years. 2. ‘Click – Contemporary Indian Photography’ at Vadhera Art Gallery, New Delhi. 3. “3 Artists” at Falkenstern Fine Art & Atelier, Germany. 4. ‘Where Three Dreams Cross’ 150 years of Photography from India, Pakistan and Bangladesh at Whitechapel Gallery, London and Fotomuseum, Switzerland. 5. “Tirtha – A Spiritual Journey’ with Prashant Panjiar at Palette gallery, New Delhi. 6. “Rivers of Pilgrimage’ at Siddarth Gallery, Kathmandu, Nepal. 7. “Growing up in India” at Mondavi Center, University of California, USA. 8. “Re-imaging the People of India” at India International Centre, New Delhi and in France. 9. “Reciprocation” with Kathryn Myers at Gallery Art & Aesthetic, New Delhi. Besides this he has done 2 Pictorial Books - "Bazaar" and "Living Faith" - which were a result of over a decade of traveling through the traditional markets and religious centres of India through the Nineties. 26 years into the journey, Photography is not just a profession and a passion but his means of understanding and feeling the world and life around him. His 3rd book, which had been commissioned by the Rashtrapati Bhawan and Sahapedia, is "Right of the Line - The President's Bodyguard" and its about all aspects of the life and duties of the oldest regiment of the Indian Army, ranging from the pomp and pagentry to the passion and camaraderie of the men and their horses. This has been launched in Oct. 2015. Following the success of this, he was commissioned to work on "Life in Rashtrapati Bhawan" by them, which is his 4th Photo book and has been published in Dec. 2016. Dinesh lives in Gurgaon, near Delhi, with wife, Rachana, who is an Advertising Executive turned Interior Designer and for the last 10 years a dedicated Kathak Dancer. They have 2 daughters, Myra, who is 21 years old and shares her mother's passion for dance and her father's passion for travel. And Mahi, who at 17 had decided to be an Artist, as in her wisdom she feels that photography is only a 'half-art', but is now wondering if History is actually her true calling. 2. "Earning Dignity - from Art, Craft and Trade"
3. "Mobile Stories – Life on the move"
He is actively involved in Photography education and has been visiting faculty at Jamia Millia – Delhi, Symbiosis – Pune and The One School – Goa. 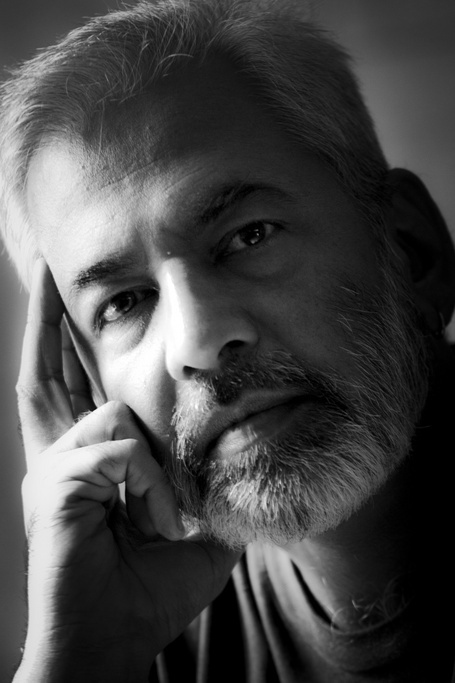 He will also be teaching in SACAC, Delhi and MICA, Ahmedabad. He also conducts workshops and mentorship sessions regularly under his personal brand, "Photoyatri."